Carburettor and Injection Cleaner with H.P. Valve 400ml Aerosol. 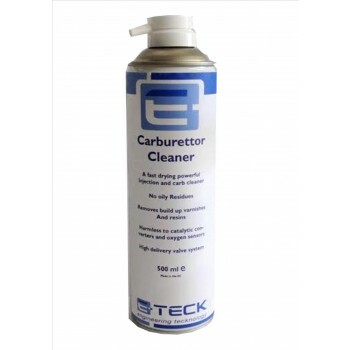 A special aerosol cleaner containing Xylene, designed to remove lacquers and varnishes that accumulate in and around carburettors, reducing performance and increasing fuel consumption. Allowing you to restore full power and efficiency to carburettors.